Profile Response: Amy McPherson, Volute, San Francisco, CA | How Will We Live Tomorrow? 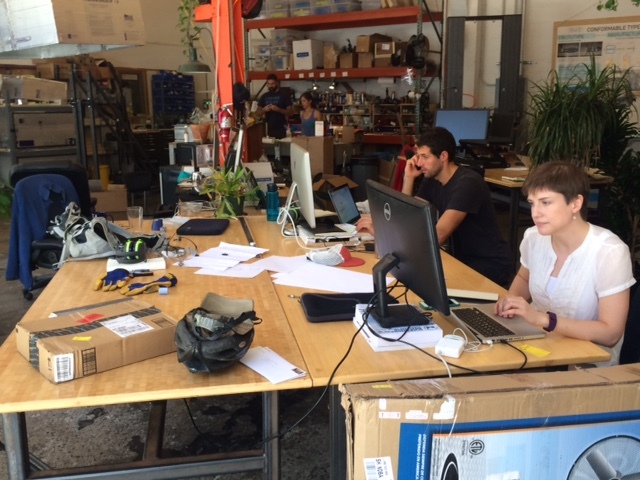 Otherlab is a consortium of start-ups that have a techie / maker vibe. 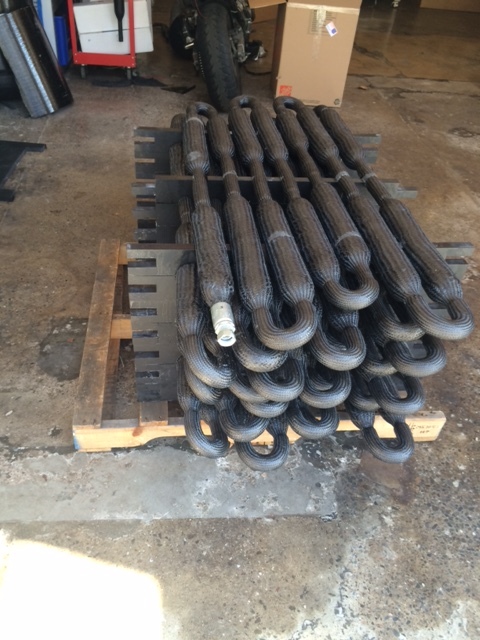 One of them is Volute, a ten-person company that is prototyping configurable CNG tanks. CNG vehicles have much better energy efficiency than combustion engine vehicles, but there are drawbacks to their acceptance. First is the cost of recharge stations. In addition, fuel tanks with enough CNG to meet our expectations between fill-ups are large. Third, refueling is a time consuming process. Volute is focused on the second problem – creating fuel tanks that are not so bulky they take up a third of a vehicle’s carrying capacity. 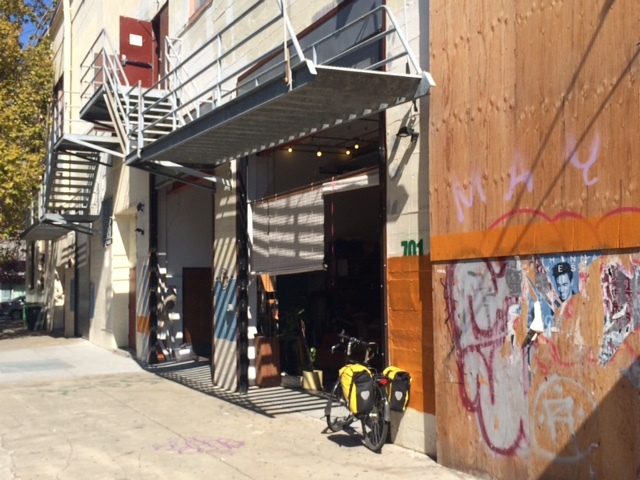 Volute works with their garage doors open to the world. 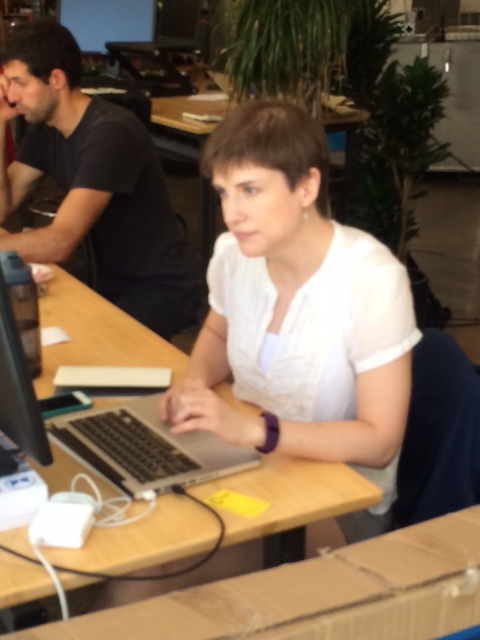 Amy McPherson, Operations Director, is a North Carolina native who’s been in San Francisco for two years. I simply walked up to Amy from the sidewalk. When I asked if she liked it here, she laughed, “How can you not like it. Look at the climate.” Then she described some of the hurdles Volute faces. CNG already has viable applications for regular route vehicles. “UPS trucks, trash trucks, those vehicles can operate very efficiently on CNG.” As issues of fuel storage and recharging get resolved, there will be more worthwhile CNG applications. That will not signal the end of fossil fuels, but it will mean less pollution and more efficient vehicles. This entry was posted in Responses and tagged Amy McPherson, CNG tanks. CNG vehicles, Otherlab, Volute. Bookmark the permalink.